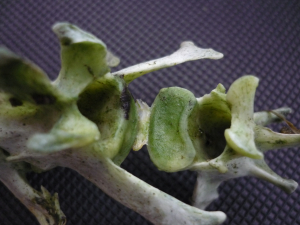 Observation - Vertebrae - UK and Ireland. Description: 3 vertebrae found. To big to be a Rabbit, possibly a Fox or Badger? Any ideas?? 3 vertebrae found. To big to be a Rabbit, possibly a Fox or Badger? Any ideas? ?